Inheriting a home from a loved one can either be a delightful experience or a difficult situation depending on the circumstances. Then comes the question, do you wish to live in it, rent it out, or sell your inherited house? There are various reasons as to why you would want to sell your house fast: update, taxes, a configuration such as stairs, etc. How to sell your inherited house may seem like a challenging task. There is no easy way to sell a home. The process for selling a Probate property may be a bit more intricate than regular home selling transactions. That is why we, at Big house Investors, have listed a couple of helpful tips to guide you on how to sell your inherited house in Atlanta. The first step may be emotionally difficult, nevertheless, it is necessary if you decide to sell the property. You’ll need to clean out your dearly departed’ belongings, keep memorabilia and valuable items, and possibly hold a yard sale for anything you do not wish to keep. Probate is the process through which someone is given permission by the court to deal with the estate of a deceased person, including the collection of all of their assets, the payoff of any debts and the distribution of the assets to the beneficiaries who are entitled to them. If the deceased left a will, they should have specified an executor who is expected to “execute” the Will and complete the probate process. If no executor is named, responsibility will generally fall to the beneficiaries or a blood relative. 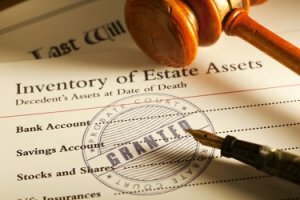 A Grant of Probate must be secured before you can sell the property. Although some may begin advertising their house for sale while waiting for it. The length of time for the process to be completed may vary depending on how complicated the estate of the deceased is. Once the Grant of Probate is secured, the selling of the property may commence. Real estate investors are always looking to expand their investments and to acquire new properties. They generally know the market very well. They also have access to a network of support from buyers, to lenders, to general contractors, painters, landscapers and title companies that a typical individual does not have. If you want to sell your home fast, Real Estate Investors are the best option. A real estate investor will usually be able to offer cash as well as the ability to close very fast. Selling homes are usually associated with a lot of obstacles which may prove to be annoying and will drag the house selling process. With Big House Investors LLC, you will not have to pass through all these obstacles since the process is straightforward and quick.